Who will rule the South Seas? Two Kahuna — ancient sorcerers of the Pacific — compete for dominance on an archipelago consisting of twelve small islands. Using their magic and wisdom, they struggle for control of the islands. They anxiously await the cards handed to them by fate. 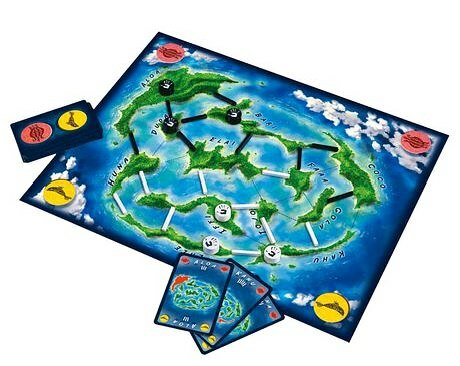 But when the time is right, they move to capture one, two, or even more islands, trying to gain the upper hand. At the mercy of the magical powers of the South Seas, they quickly realize that even the best magic is no good without strategy. 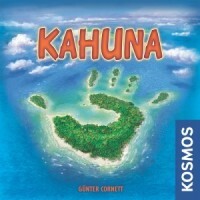 Add a Review for "Kahuna"